It’s been 13 years and you would think it’s a long time for wounds to heal and relationships to move forward. 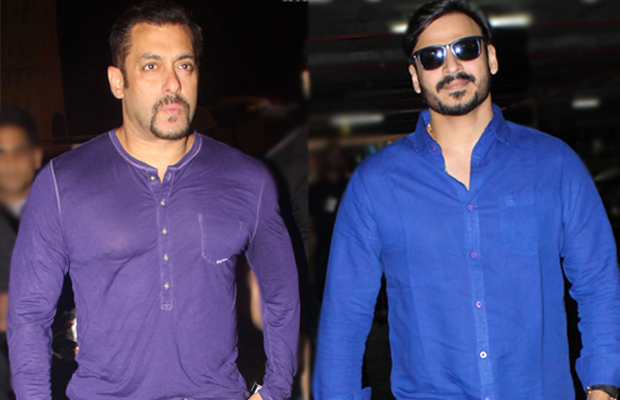 But that just doesn’t seem to be happening between Vivek Oberoi and Salman Khan. 13 years ago they had a clash stemmed from their lady love – Aishwarya Rai (She obviously wasn’t a Bachchan then). Salman and Aishwarya’s relationship was going through a really rough patch when she was shooting for ‘Kyun….Ho Gaya Naa’ opposite Vivek Oberoi in whom she found a good comfort. Following which, Vivek called for a press conference accusing Salman Khan of threatening him to stay away from Aishwarya Rai. Aishwarya never really admitted to being in a relationship with Salman, but the animosity with Sallu bhai indeed cost him his career in movie business and rest is history as we know it. The paths of these two crossed recently at a lavish party hosted by Shah Rukh Khan for Coldplay at his bungalow Mannat and had invited almost everyone from the industry. Salman and Vivek both joined the party but panic happened when Vivek saw Salman pass by. Previous articleMajor Changes Have Been Made In Shah Rukh Khan’s Raees With Mahira Khan!